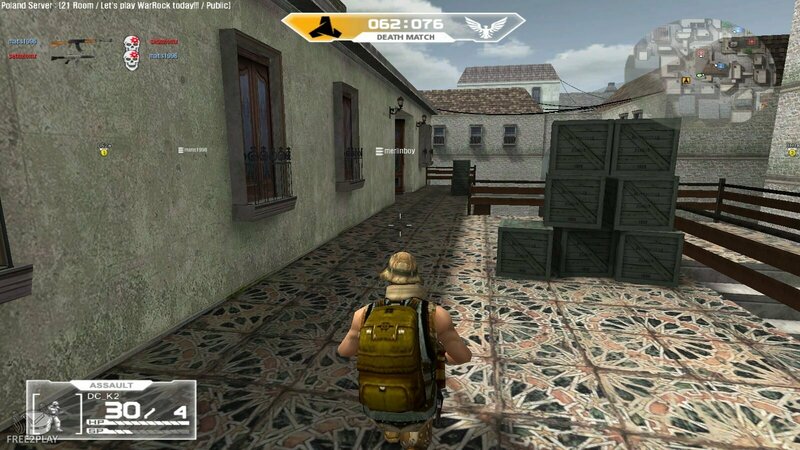 War Rock is a fast-paced action packed MMOFPS in which players can choose among several classes, customize them with different pieces of gear, and play over numerous maps in exciting PvP game modes. Although the game is free to play, players can buy items with real money in the Premium store. 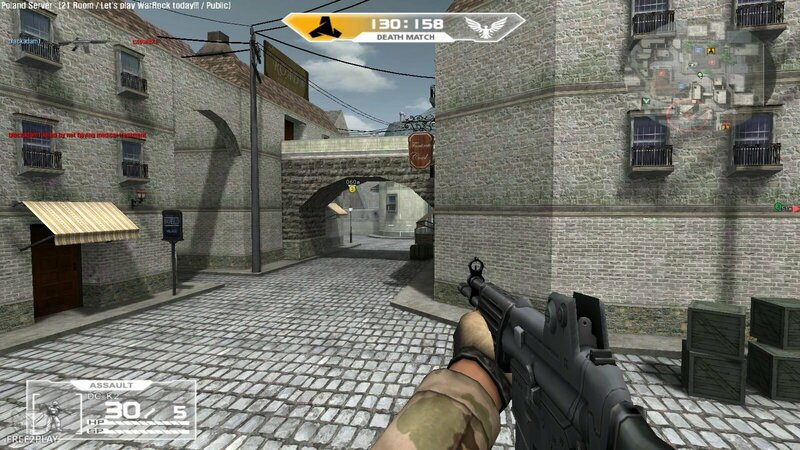 The game is a typical team based MMOFPS where players from around the world will fight against other players across various game modes and maps. Players can compete to become the most deadly players. 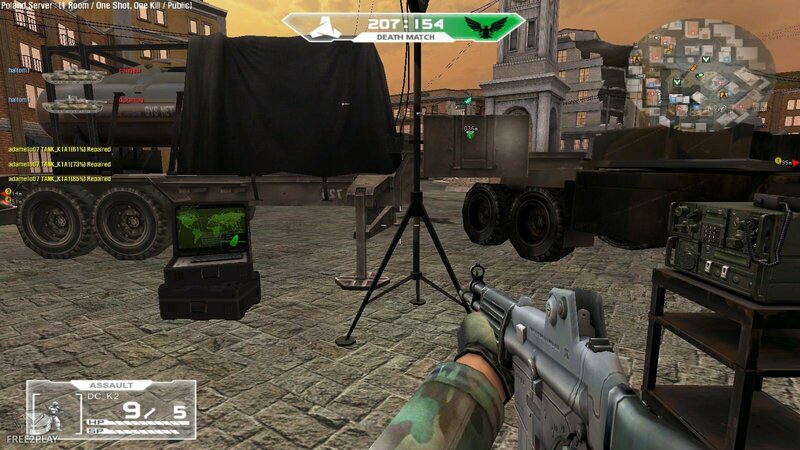 The game offers up class based gameplay and the opportunity for players to drive a variety of vehicles during combat. There are five different professions, each one with its own playstyle and gear. Engineer - This support class is very useful for keeping vehicles running, and for this purpose it is equipped with tools such as screwdrivers, wrenches and even a fire extinguisher. The doctor - This character is able to help his wounded companions, and although he doesn't have much firepower is equipped with a sub-machine gun, as well as a medic kit, used to keep his team alive. without getting up to close and personal. They are extremely deadly when in cover and protecting key points in combat. The assault - These soldiers are the bulk of the infantry, and they are prepared to fight from the front, either using their shotguns or AK-47 rifles, making them very versatile. The heavy Trooper - Equipped with anti-tank mines and guided missile launchers, their purpose is to kill armored enemies, but with his machine gun they are also a huge threat to any infantry unit. In the game there is a large selection of maps, from urban environments to Islands and military fortifications. 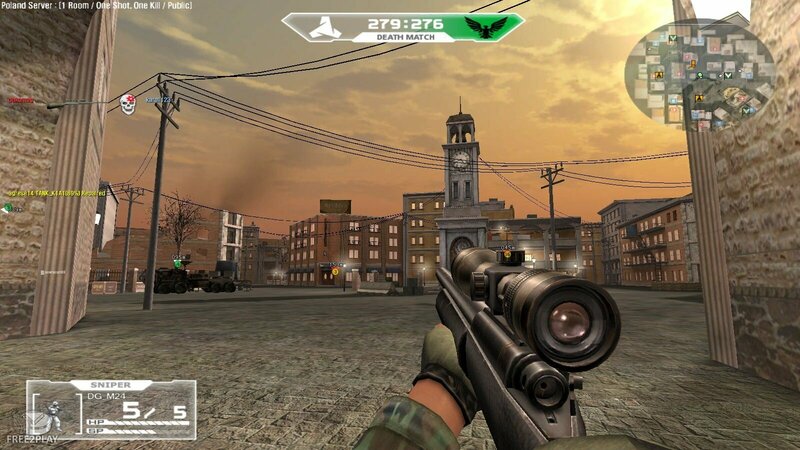 Some maps are focused on Close Quarters Combat or short-range combat, while other maps of average sizes are designed for urban combat, and then the game has huge battlegrounds where players can actually use a variety of vehicles to get around and do damage against their enemies. Conquest Mode – two teams battle to take the neutral bases, their own Kill Point Timer ticking down as the game progresses, the more bases they control the slower it ticks for them and the faster it ticks for their enemy. The winner is the first team able to capture all bases, or whoever has the highest number of remaining Kill Points at the end of the clock if playing a timed match. Capture the Base – Two teams' battle over a neutral base that they must control and defend for a specific amount of time to claim the victory. One Man Army – A typical, fast and fun deathmatch where every player is looking out for themselves; the player who gains the most kills wins the match. Bombing Mission –One of the teams is charged with planting a bomb in a chosen area and the rival team must track them down and kill the enemy or diffuse the bomb when it is charged. Team Deathmatch – A classic team deathmatch, no objectives other than to get as many kills for your team to win the match.